Some times you want to save the world. Other times, well, you just want to see it burn. Having a bad day? Smash a city or two with natural disasters. Car won’t start? Release a deadly plague. Got a bad grade? 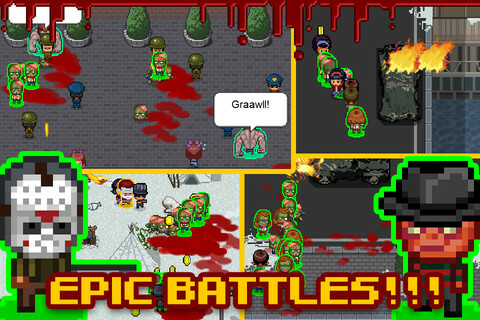 Pick up Infectonator (Free) and unleash an undead horde on unsuspecting populations. Mass-scale slaughter is such good stress relief. 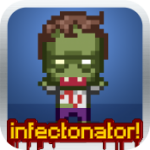 Infectonator (or, as the Flash folks call it, Infectonator 2) is a zombie game—boo, hiss, etc. But it’s the sort of zombie game I’m still pretty fond of: the strategy sort. The kind where you have to think about how best to kill all those pesky humans interfering with a perfectly good apocalypse. It’s about moving from country to country, finding the weak spots, and annihilating everything that breathes. But it’s also about getting your hands dirty. In the beginning your zombie horde isn’t much good. You drop a few undead in amongst the populace to stumble around and die after a few short seconds. If they’re lucky, they’ll manage to gnaw on a brain or two before their unlife ends unceremoniously. But each time you kill, you get money. That money can go toward unlocking new zombie types. It can also level you up, improving all your zombies. They get faster, stronger and more vicious. They also get more infectious. Much more infectious. Eventually you might hit a tipping point. 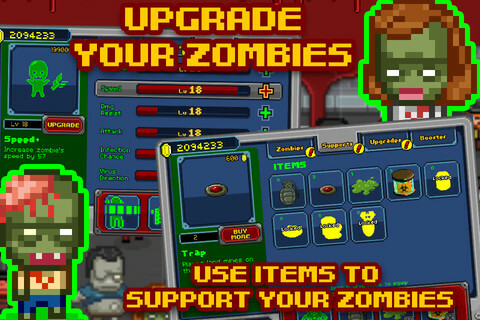 You’ll become so effective that you just drop your zombies down and collect your coins while they do their thing. That’s when the game stops being quite as fun and gets kinda grindy. Then it flips, and you’re once again outclassed. It’s an inconsistent difficulty curve, but it never leaves you bored for long. If you are finding wholesale slaughter unsatisfying, though, you can also try to complete each level in style. Each has a handful of objectives, which might include using certain weapons to assist your zombies, killing everyone within a time limit, pulling out specific special zombies and so on. If you can complete all of them, the city is forever destroyed. This hurts your coin-farming potential, but you shouldn’t really need it. I took advantage of the social offers at the start of the game to get a small boost, and I never felt short on coins. If you do, there’s the ubiquitous coin purchase option. But remember that thing about the game getting grindy if you get too far ahead of the curve? Yeah. Be cautious with the IAP. You’ll also want to keep an eye on the volume—along with a generally low-res presentation, the game doesn’t seem to respect the mute switch. As a port, it isn’t the strongest. Infectonator is also repetitive. Each city you reach requires the same task, and more or less the same tactics. It offsets that problem with a bit of humor. Cities have familiar landmarks, and their citizens speak something like appropriate languages. And have you ever felt like zombifying heroes like Santa? Head to Eskimo Town (a locale I’m not familiar with) and swarm him. He’ll put up a holly, jolly fight, though. Ultimately, this is a one-note game. The RPG mechanics stay interesting for longer than they ought to, but you’ll probably burn out on human hunting sooner or later. On the other hand, there’s a fun hour or two to be found before that point. 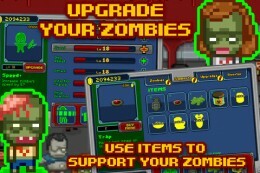 It’s hard to stand out in a sea of zombies, all shuffling and moaning along, but Infectonator puts in a solid effort. Even at its worst, it’s great for channeling the occasional bout of hatred for humanity. At the best, you’ll watch the whole world crumble under your fingertips. There’s certainly fun to be found in that.